Laurel and Hardy are history’s greatest double act. Their influence in comedy has bounced down through generations. People know their sketches. They quote the jokes. Children now are even shown their movies. Laurel and Hardy’s impact is one for the history books. But their later years have yet to be explored. Now we’re treated to the glorious Stan & Ollie! Directed by Jon S. Baird (who also gave us the impeccable Filth,) Stan & Ollie revolves around the later years of the titular pair. As their star wanes, the pair head over the England to do a farewell tour across different venues. However, due to their declining popularity and problematic tour manager, the pair fail to sell out or make a splash. Due to previous issues with the pair and Hardy’s increasing health problems, there could be trouble with the tour. Can they survive their problems for one last swansong? Steve Coogan is immense and intricate as British born Stan Laurel. His wide-eyed antics movies with a constant sorrow and utmost dedication to his partner Ollie. Coogan captures the admiration from Laurel but also the heartbreak he suffered and the sheer enormous comedy genius that he was. Coogan inhibits all and produces an empathic and glorious performances that will be utterly remembered. John C. Reilly is fantastic as Hardy. His laboured movements to his bigger than life personality is well-realised. Also his health – Reilly definitely crafts Hardy with the weight of Hardy’s decline that is pushed beyond his limits. The two together are fantastic. Perfect even. I can’t think of anyone who could create and embellish these roles in the way Coogan and Reilly do. Their chemistry is phenomenal and, at times, you think you are watching Stan and Ollie themselves. It’s an accomplished film pairing. Reilly and Coogan are matched as a double act by Shirley Henderson and Nina Arianda as their wives respectively. 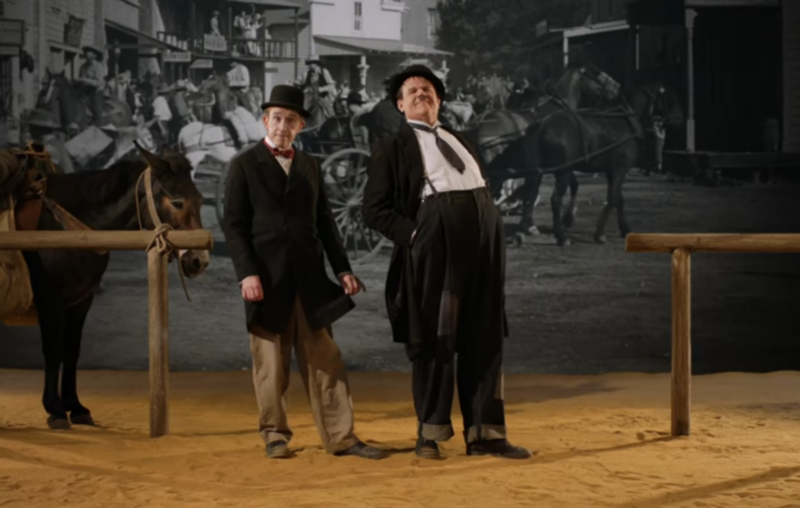 The pair have their own snipes and jokes together but also they add dimensions to their husbands Stan and Ollie. Henderson is a safe bet to produce a character with quiet sensitivity but Arianda steals the scenes that she is in. Baird injects a constant humour to the pair off screens. Scenes such as carrying a large trunk up a huge flight of stairs or checking into a hotel mirror classic Laurel & Hardy sketches. Adding a great deal of intimacy to the film and bringing this glorious era to life, this beautiful looking film is lovingly handled by a director who knows his source material and knows the men he is bringing to life on the big screen. It’s just absolutely lovely. That’s not a bad thing. Films that are simply lovely. It’s nice to see a movie about a icons that doesn’t dissolve into outrageous or lewd acts. Obviously tortured artists aren’t necessarily bad but the focus here is just an unbridled love between two men. An enduring friendship, a forever double act, a story of two icons – Stan & Ollie is absolutely the perfect tribute. The world of Yorgos Lanthimos is a bizarre yet beautiful one. From bored teenagers in Dogtooth to animals in The Lobster, there is something about the filmmaker’s mind that you want to immerse yourself completely in; soaking in every stilted word, every bizarre premise, and every Colin Farrell mustache. Although there is no Farrell facial hair here, Lanthimos is on top form with The Favourite. Blending voluptuous and superb British period dramas with the humour as black as their dresses, Lanthimos produces his most accessible movie yet. Starring Olivia Colman, Emma Stone, and Rachel Weisz, The Favourite tells the story of the later years of Queen Anne. Miserable, gluttonous, and egomaniacal, Anne spends her life stuck in the walls of her stately home. Her council is led (and manipulated) by Sarah, the Duchess of Marlborough who uses her status as the Queens confidant to pull the strings of war. When Sarah’s cousin Abigail arrives, the pair find themselves locked in a battle for the admirations and love of Anne. Who will win in their sick vying? The Favourite is certainly one of those movies in which you’ll happily feast upon. It’s an impeccable balance between this ornate and gorgeous Stuart time period whilst also having cutting modern humour surrounding it. Playing fast and loose with classical language and updated curse words, the fluidity of the dialogue mixed with the satirical comedy brings a fresh beat to stuffy period dramas. There are some hilarious one-liners that’ll be trotted out for years to come. Shot by natural light, Lanthimos’ updated black comedy looks divine. Filmed at Hatfield House, the large and gorgeous spaces lend themselves to some pretty beautiful scene set ups (as well as echoing the tedium and the emptiness that is rife here. The décor is ornate and splendid whilst Sandy Powell’s impressive costuming harkens back to the era immensely. The detail on display here is fantastic, including mud splatters, tears, and more. There has been much talk about what actress deserves what award. Indeed, this is a film of three leads. Olivia Colman, who has been an undeniable tour-de-force on British programming and movies finally gets the royal role she’s been waiting for. Here she plays her Queen as petulant child but the bratty behaviour is not merely from her status and wealth, but also from her grief. She’s a pained woman – physically and emotionally – and her work is phenomenal here. Rachel Weisz and Emma Stone play two different breed of players. The former, as Sarah, is a more pragmatic in her approach. She’s honest, if albeit unkind, and one of the few people who does not play into the Queen’s whimsy. So naturally when Stone’s sweet and ambitious Abigail comes as a fallen Lady turned scullery maid, Sarah finds herself matched in manipulation and drive. The pair make great enemies, using Anne’s fancies and desires as a ploy so when the final hits, it smarts for all three. There’s also great support from Fop Nicholas Hoult (who is clearly having the best time,) and Joe Alwyn make adequate male accompaniments but fail to shine under the shadows of this brilliant trio. The Favourite is intriguing and beguiling. Yet it does not have a satisfactory conclusion. In fact, as the film progresses into its final chapters, it struggles to muster to sharp wit and interest as the first hour or so caught. Though this may be the case, Lanthimos’ work is a delicious one and you’ll want to gorge on repeatedly. Then want to gorge again. It is out New Year’s Day! Andrea Riseborough is one of our most gifted actresses. The British star has made a name for herself in movies such as Birdman (or the Unexpected Virtue of Ignorance,) Welcome to the Punch, and television series National Treasure. With big haunting eyes and the ability to transform like a shape-shifter into her characters, Riseborough is an amazing performer. Her gifted talent has spectacularly captured us all. She also backs female led movies and has her own small production company Mothersucker. The actress definitely continues her Rise…borough. Awful puns aside, Riseborough is one of the few actresses that has two films in the BFI London Film Festival where she plays the titular role; Panos Cosmatos’ Mandy and this, Christina Choe’s Nancy. Christina Choe has crafted a delectably intriguing tale that blurs the lines of lying and life. The film quietly delves under the hood of a maligned person who has crafted many different falsehoods about herself to the extent that she is unsure of who she is. As a viewer too, you also battle with the truth as you are equally convinced and unconvinced about Nancy’s true identity. The film is an assured debut by Choe that uncovers an emotional connection between us all – the want for connection and completion. Andrea Riseborough is impeccably cast as the tedium riddled woman struggling to find an identity yet falling into home and finding herself yearning to be this couple’s estranged daughter. Riseborough magnificently digs under the skin of her character and her role as an anti-heroine is really defined her. Nancy isn’t a likeable character; in the first half she tricks a grieving father into believing she is a pregnant woman with an ill child. Yet Nancy is also alone, living with Ann Dowd’s vicious mother and unable to connect to the world around her without it being a falsehood. Riseborough confidently exhumes the character as she grows close to Leo and Ellen, achingly wanting to belong there. Playing opposite Riseborough is J. Smith Cameron’s desparate Ellen. Here’s a woman whose mourning has been constantly open. Never knowing the true whereabouts of her daughter, she’ll never have full closure and Cameron portrays this so well that upon the instant Ellen and Nancy first speak, you hope that Nancy is their daughter. Ellen takes to Nancy with an alarming closeness that is realistic of lamenting and longing. As their relationship develops, it is gloriously enticing and that’s largely through Smith’s performance. There’s also this wonderful bubble of grief to both Nancy’s lack of belonging and Ellen’s struggle with losing a daughter for over three decades. In many ways the grieving mother and the lost daughter could very well be kindred spirits – related even – and the reveal will never change that. Nancy is a slow drawling film that may take time for it to claw into your flesh but in a snow-ladden forrest, or the haunting familiarity of a distant memory, Nancy really evolves. Choe’s astute character study is a phenomenal feature debut. Lizzie Borden is one of those names that has lived in infamy. When her stepmother and father were brutally killed by an axe, eyes fell on Borden. Despite being cleared by the police, she is widely considered the murderer and has since garnered notoriety – a legendary status even. Now her story is being explored in drama film, aptly named, Lizzie. Directed by Craig William Macnell Lizzie is a brooding film that revolves around the infamous killings of 1892. Starring Chloe Sevigny and Kristen Stewart, the film takes us behind the murders and into the possible events that led to them. As Lizzie battles for control over her domineering father William, brand new Irish maid Bridget enters the home. The two women find themselves drawn to one another. Noticing the kindred spirits and their closeness, William tries to force them apart. With all the pressures around them, a dark plan is formed. The film is really good at bringing the period to life with candlelit scenes, a maze-ridden house, and costumes to die for. It is certainly pretty to look at. The actresses at the core do a pretty good job here. Despite Kristen Stewarts dodgy Irish accent, her “fish out of water” character Bridget makes for an wide-eyed and amazing character. Enveloped by the house and it’s unnerving residents, Stewart winds through her own horrors and she is great at this. Chloe Sevigny is good as the starring lead character and goes through similar motions. Sevigny is stoic yet emotive. It is just a shame there isn’t better material to leap her character forward here. That being said, the pair together make for some marvelous chemistry that does spark when they edge closer together. As we’ve mentioned, the actresses are really good but my god is the characterisation sloppy. We never really get to explore Lizzie as a character and she comes off quite petulant in spite of the abuse she suffered from her father. Whilst she is meant to come across as “strong-willed,” we seemingly don’t spend enough time with her and she is the titular role. However, the film is boring. It is a slow, drawling film. Whilst it’s pretty to look at, it struggles to find a decent pace and soon turns into a turgid and quite boring affair. It only becomes really interesting in the final half, with a brilliant uncovering of the murderers. Lizzie is a disappointment but it certainly has some good elements to offer. I’ll have to admit – perhaps I was expecting a little bit more. Especially because the film’s trailer is a punchy and darker affairs. This film has been really mis-marketed. Those expecting a slice and dice period romp with bloody bits and grit will be sorely disappointed. Even more so when there isn’t a decent character study to replace that. Lizzie lacks the chop to make it an interesting historical piece of cinema. It is unfair that new directors in the industry keep producing stellar film debuts but that is the state we’re in. Sorry to Bother You is on a long list of first features that are damn near pitch perfect and impressive. Director Boots Riley has made waves with this brilliantly bizarre film. Sorry to Bother You revolves around Cassius “Cash” Green is set in an alternative present-day Oakland, where company WorryFree have transformed prisons into workplaces and living quarters. Accused of modern day slavery and often sparking protests. The film itself focuses on Cassius “Cash” Green who is a young black man determined to work his way to the top. When he is hired for a job at RegalView telemarketers, he learns that he gets more commissions if he speaks with a “white voice.” However, as Cash makes his way up the company, his friends on the floor are striking for better benefits and pay. Causing friction is his life, can Cash find a balance between his success and his friends protest? Boots Riley’s Sorry to Bother You is not the film you are expecting. Not at all. I mean, you’ll think you know where it is going but you have no idea. No. Idea. That’s where I’m leaving you. Sorry to Bother You is a profound and absurdist movie that is an inventive visual spree of imagination. Through an impressive set design and gorgeous visuals, Riley pieces together a fantastical world centred in real-world issues. There is an air of Terry Gilliam mixed with splashes of Schrader and it works. It slickly moves through these almost art pieces of surrealist imagery. There are many different films that explore race and society in Riley’s whacky and sometimes perturbing film. Though the movie may present elements that have been done before, particular in movies such as The Hate U Give, Get Out, and more, it’s still a superbly original piece of dark absurdist comedy. Riley’s work looks into brutish and demeaning companies that make millions off of hard-workers whilst also It is intricate on how big bosses will use a worker and dangle particular benefits and advancements whilst also treating them like horses. There are also comments about police brutality, social class, and race that are shown with an immense spectrum of vivid colour and graphics. Lakeith Stanfield is perhaps the best actor for this role and it’s great to see him lead here. Hunched over and nervous, Cash’s rise upwards feels realistic – like a company would recognise his ambition and talent in order to posturize him into a role he’s less than comfortable fall, wrapping it up in lavish benefits of course. Stanfield is fantastic at balancing the different people Cash becomes; selfish, kind, quiet, and loud. He is a completely sympathetic character and a conduit to all this themes underneath. There’s great support from Steven Yeun, Tessa Thompson, and Armie Hammer with David Cross voicing the “white voice” with a lot of humour. Like I said, Sorry to Bother You is not the film you are expecting when you get in and the action amps up its strangeness as it comes into the final third. No matter how you feel about that coming out, you definitely can’t say that Sorry to Bother You isn’t absolutely unique. Sorry to Bother You is out in cinemas 7th December! Dario Argento’s Suspiria is considered one of horror film’s greatest triumphs. Starring Jessica Harper, the film looks at an American woman sent to prestigious German dance school only to discover that there is something sinister happening there. 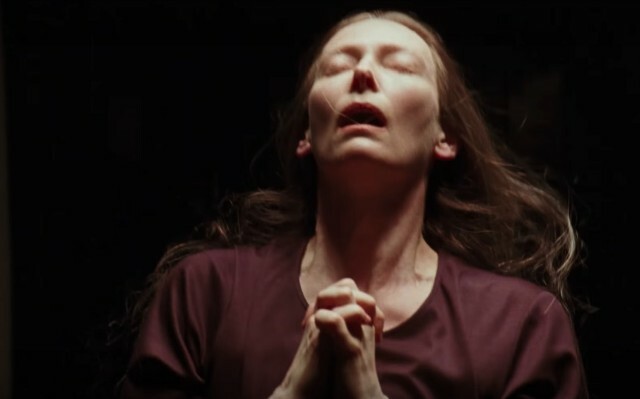 Thanks to the cinematography, the music by Goblin, and the tension throughout, Suspiria has been cemented by horror audiences and critics alike as one of the best films of all time. So how do you remake something considered so influential? Call Me By Your Name director Luca Guadagnino attempts to adapt the material in his own new vision that sadly fails to charm or scare. 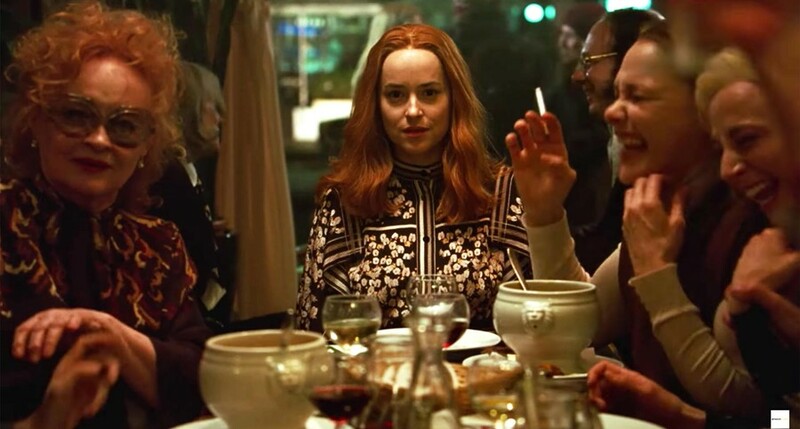 Considered an “homage” to the classic, 2018’s Suspiria follows a similar storyline. Suzy is a young woman from an American Mennonite family. Escaping to Berlin to a acclaimed dance company Markos Dance Company, Suzy is intrigued by it’s mysteries. The teachers, led by the mysterious Madame Blanc, are alluring yet strict. The students inexplicably disappear. And at night, Suzy is plagued by horrific images. When the activities start to worsen (and Suzy’s fame starts to rise), Suzy and fellow student Sara decide to track down the truth. With the help of therapist Dr. Jozef Klemperer, can the secrets of Markos Dance Company come to light? The opening sequence of Suspiria is definitely one of the most unsettling scenes I’ve seen in a horror film this year. The fast edits matched with Chloe Grace Moretz’ mania and the brooding score underlining it heightens the tension. You expect a scare at every corner. The breathless hysterical antics of Moretz’ Patricia is an expert lesson in using editing to build frights. It’s just a shame that the film does not continue in this manner. The scares are stretched over a whopping two and a half hour run-time that dilutes any assault on the senses. The fear fritters away as you limp along towards the end. It’s not that the film doesn’t have it’s grim and gruesome moments. One particular dance sequence will curl toes and churn stomachs. The finale also is a vision of the grotesque, with allusions to movies such as Häxan. Yet to slow crawl to get leaves you frustratingly impatient that by the wildly bloody and feverish moment, you’re investment has already gone. The length in time caused by the secondary story. As we follow Josef Klemperer across Berlin, trying to uncover the truth about Markos, we are taken away from the main drama. Instead, it feels like they are showing off Tilda Swinton’s talent. I mean, it’s not a bad thing that he appears, his use particularly needed at the beginning. But Klemperer is a distraction, one that isn’t truly needed for it to take affect. Aside from this, Swinton’s geberak aurora and presence in this film is glorious, particularly as the ominous Madame Blanc. Dakota Johnson’s character Suzy is an interesting one. While the actress is adept at handling the role, her character seems decidedly miscast as the main “protagonist.” Instead, it’s really Mia Goth’s Sara who stands out as the voice of reason and therefore a conduit for the audience to follow. Johnson, by the time she arrives at the company, is already laid out as a strong-willed character and that does not change. The acting is great but is encased in this lack-lustre story going on around it. Suspiria should’ve focused solely on the antics in the Markos Dance Company building with brief moments of broken Berlin to help enforce the horrors. Any time we drifted away from the towering place with it’s many corridors and grim secrets, the more the fear flitted into the night. Suspiria is a movie where you’d want to be bewitched. Yet here a spell has not been cast.